November 14, 2017, 6:43 PM · After trying various approaches during my 36 years of teaching, I am increasingly convinced that a productive lesson needs to include many of questions that I would ask the student, with the aim of making the student more focused, alert, and aware of causes, effects, and solutions. I ask a broad range of questions in any given lesson, from the most general to the most detailed. At the onset I usually ask the student what he/she has prepared, so I know how to pace myself accordingly for the hour-long lesson. Some students bring a great deal of repertoire and technical work to a lesson, and some bring just one item. Knowing that at the beginning of the lesson helps me allocate appropriate chunks of time for each item. If the student plans to start the lesson with a scale I will ask, "What are you going to focus on while you play the scale?" and hope for an answer that includes specifics such as tone production, smooth bow and string changes, left-hand organization, correct shifting, etc. After the scale is played, I would ask, "Is there anything in the scale you just played that you feel needs improvement?" The student might say, "I did not like my sound," after which I would ask, "Did you feel your sound was perhaps forced at times, or that it did not have a core, or consistency throughout all registers?" I try and guide the student through some detailed detective work, so when the scale is played again there is a heightened sense of awareness and focus. If the sound was the issue, then we would work on bow speed, arm weight, and bow location (sounding point). If the sound improves, I ask the student to tell me why exactly the sound got better. I want the student to become aware when he/she does something well, and to also know the reason(s) when something does not sound good. The student is more likely to duplicate good results obtained in the lesson when they practice alone later on if he/she has a clear understanding of what causes a problem and what the solution is. If the student might not have been happy with his/her shifting in the scale, I would ask, "What specifically was not good about your shifting? Did the left hand travel too fast during the shifts? Did you have too much pressure on the left hand while you shifted?" I would then have the student try shifting slower and lighter, so he/she can hear and feel the difference. If the student was not happy with the legato playing aspect in the scale, I would ask about string crossing preparation and/or bow changes. Where those prepared in advance, or did they happen abruptly? Were they done with the fingers or the entire arm? I would then have the student play the scale again and try all possible ways of crossing from one string to another (whole arm, or with the wrist, or only with the fingers). When the student tries various ways of crossing strings it usually becomes clear right away which option produces the best results. 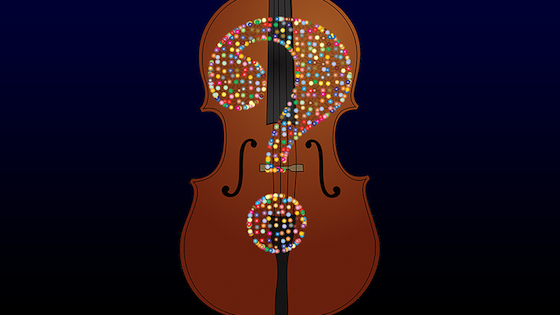 If the student brings a Popper etude to the lesson I first ask, "Why do you think Popper wrote this etude? What lesson(s) is he trying to teach us through this particular etude, or what skills can be developed by working on this etude?" Let’s suppose the student brought Etude No.1 by Popper to the lesson. I would first ask, "What bow stroke makes sense to use in this etude, and how do we get it? Is it with a firm right arm, or loose wrist and fingers? Clearly off the string or more of a light brush stroke?" I would then have the student try to find through experimentation the most appropriate bow stroke for this particular etude. If the student is not getting a good sound I would likely ask about bow placement: is the student playing too close to the bridge, or too much on the fingerboard? Is the student playing too far from the frog to have a good control of the off-the-string bow stroke? This kind of pointed questions help guide the student towards solutions, and puts the onus on the student for finding answers through trial and error under my guidance. When the student is about to play a repertoire item such us a movement from a concerto, I would first ask, "What did you focus on when you worked on this concerto?" or "What steps or stages did you go through when you practiced this concerto?" These kinds of questions will usually produce answers that are quite specific, such as, "I first worked on intonation, slowly, then on my shifts, then on the kind of sounds and colors I want to have throughout this work, and then on musical architecture and character, etc." The aim is once again to make the student more focused and productive in practice sessions, with a clear idea of what issues are to be addressed and how. Knowing that I will ask questions week after week makes the student much more aware of what he/she is doing in the practice room. Aside from their playing, I ask students about performances they heard, or recordings they listened to. If they liked a particular interpretation, why did they like it? Was it because it was full of character? And what made the performance so effective? In what ways did the performer make the performance appealing, convincing? How did the performer create a good, projecting tone? Was the performance strict in terms of tempo, or imaginative in regard to the use of rubato? By asking this kind of questions I find that the students develop an ability for critical listening when they attend a concert, and are able to absorb details that they can later experiment with in their practice sessions. I find that this type of approach stimulates the minds of students to a higher degree than a more traditional approach where the teacher simply gives advice on various issues without placing much responsibility on the student for problem-solving. November 15, 2017 at 02:57 PM · So many teachers neglect these questions. I have had so many lessons where the only questions are, "How are you doing?," and "What do you have to play for me today?" So many teachers think they can just dump their wisdom on their students without realizing that there is critical thinking involved and that it is a two-way street. November 15, 2017 at 04:44 PM · Excellent piece, a more engaging approach to teaching which can be used at any level or age of student. Thanks for sharing! November 15, 2017 at 07:51 PM · Engaged questions are really, really important! Thanks, Laurie. I hope lots and lots of teachers put this more into practice. Teaching musical thinking is right up there as a technique, like scales, to be used liberally and often. Also asking opinion questions sometimes, and not judging the answer to them, builds trust. I find it to be enormously important to listen to the student as well to find out which avenues will be most relevant to go down in that lesson. November 16, 2017 at 05:22 AM · I think teachers should definitely question students, especially intermediate to advanced students on interpretation. November 16, 2017 at 06:45 AM · For me, this is the best way to learn. November 16, 2017 at 03:16 PM · Yep, so important for students to be independent, for promoting themselves and new technique/composing. Especially with changes in interest with the orchestra form. There should be music business survival class in higher education. Maybe even with mock situations. November 16, 2017 at 06:46 PM · The Socratic method: ask questions so that students eventually learn to teach themselves (i.e., to think, plan, identify issues and find ways to fix them, etc.) is the best teaching. As in most disciplines, the substantial content/material varies and grows over time, but once students have learned to think like a pro, they can deal with any material on their own. Thank you for doing just that that! November 21, 2017 at 02:09 PM · An excellent article! I have found that asking even very young children at the beginning of the lesson what it is that they have had the most trouble with in practicing during the preceding week, can bring surprisingly sophisticated answers. Of course good questions from the teacher are paramount, but we mustn't forget that children are often a lot more aware of their playing than we may think. If we don't ask them where they had have trouble generally and in particular, they will wait for us to find out. That may not happen during that lesson or for several more, depending on what the teacher wants to concentrate on. So I always ask even before they tell me what they want to play for me.